Teem, formerly EventBoard, is an appointment scheduling software that offers users with a conference/meeting room booking system and a workplace analytics platform. It can be used by a wide range of industries and businesses such as education, hospitality, startup companies, large corporations, and more. We compiled Teem user reviews from around the web and determined that it has generally positive ratings. We also shared its available pricing options. Users who recommended Teem said that the software is easy to understand and use. They like how it conveniently integrates with their various calendars. Great customer support was also consistently cited. Users who gave Teem negative reviews said that they experienced technical issues, specifically with the software’s iPad application. However, they pointed out that the customer support was quick to resolve these issues. Some of them also suggested to add more useful features to improve efficiency such as extra settings to automatically relocate meetings. A user who left a positive review of Teem on Capterra said that the room booking designs are visually appealing. He also said that it effectively provides data about room usage including peak hours. He finds it as a reliable resource in ensuring their team members maximize the use of office space. A user who left a negative review of Teem on G2 Crowd said that the software’s functionality is very limited. He said that some features need to be improved like automatic meeting extensions or an option to easily move a meeting to the next available room. Teem has four subscription plans: Basic ($150+/year), Professional ($250+/year), Enterprise ($450+/year), and Lobbies ($1,000+/year). The main difference between the plans is access to premium features such as custom designed themes, room mapping, voice integration, SMS and email notifications, storage and chat plugins, workplace insights, pre-meeting services, and more. There are optional professional services that users could add to their existing plans with corresponding fees. These are added features such as calendar setup and customization, dashboard training, onsite implementations, and more. All plans are billed on lump sum per year. Check out the list below of some of Teem’s features. Yes. Interested users may avail of a 15-day free trial or request for a demo. How does Teem help make meeting room scheduling process more efficient? Teem encourages meetings to start on time with its event check-in feature. To start a scheduled meeting, attendees have a set amount of time to check-in. If they don’t, the room reservation is canceled and frees the room for others to use. How does Teem produce workplace analytics and insights to help improve processes? 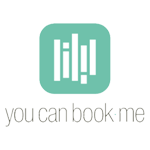 Teem helps reveal patterns and trends in your workplace based on booking data. When employees use Teem’s meeting room manager tools, it generates data that they can use to better manage the office space or improve how the company meets. This video provides an overview of how the Teem mobile app works to improve the room scheduling processes. 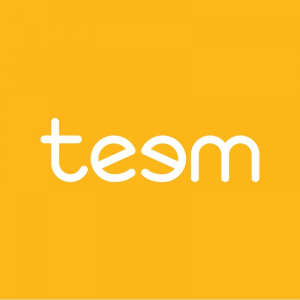 Not sure if Teem is the right fit for you? Read our reviews of all top appointment scheduling software or check out one of these three Teem alternatives.